2. 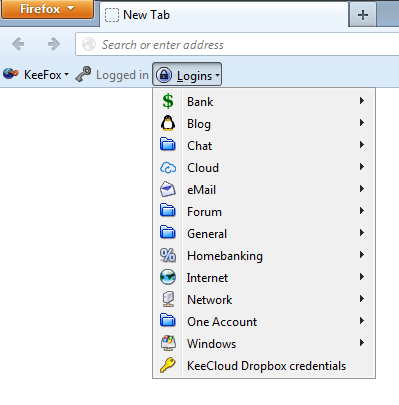 Run KeeFox instalation by clicking on add to firefox button, and follow instruction. 3. 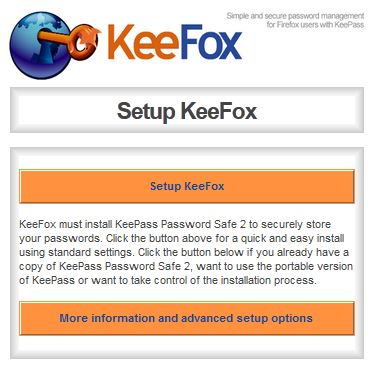 After instalation KeeFox will automatically open setup form. 4. Clik on "More information and advanced setup options" button, i choose this because i'm already have KeePass Safe (portable Version). 5. Click "Set KeePass Password Safe 2's installation location" to locate your keepass instalation directory. 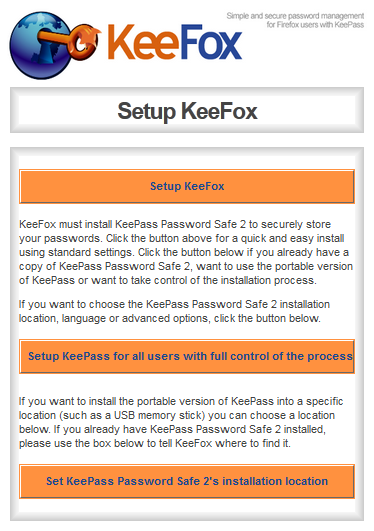 KeeFox will try to run your KeePass Safe aplication and open it database, allow it. 6. 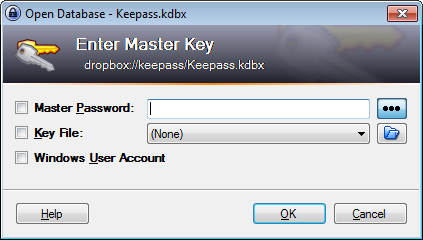 Enter your master password to open KeePass database. 7. You should see something like picture bellow, it mean your setup is success. 8. 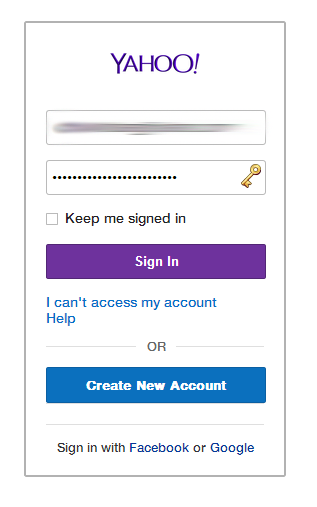 Now it is time to test our instalation, go to what ever website with login page, in this case, i choose yahoo mail, and if the login form automatically fill up, it mean your instalation worked.